K-pop sensations BTS have sold out their show at Wembley Stadium. Tickets to see the seven-piece boy band in London on June 1 went on sale at 8.30am on Friday and the official Wembley Twitter account said they had all gone five hours later. The one-off performance – as part of their Love Yourself: Speak Yourself world tour – will be band’s first in the UK since their sold-out concerts at the O2 last year. Consisting of Jin, Suga, J-Hope, RM, Jimin, V and Jungkook, BTS are one of the most popular groups in the world. Earlier this week they finished second in the race to be named global recording artist of the year, behind only Canadian rapper Drake, according to the International Federation of the Phonographic Industry. BTS have enjoyed a meteoric rise since forming in 2013. 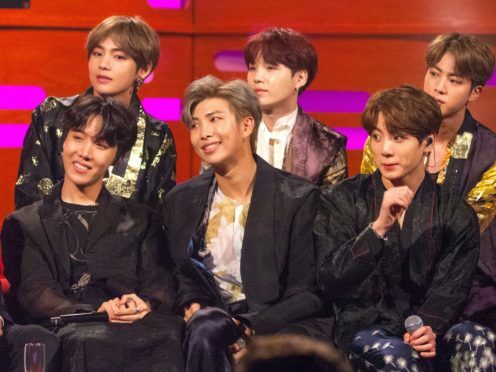 Last year they became the first K-pop group to enter the top 40 of the UK singles chart after their song Idol landed at number 21.